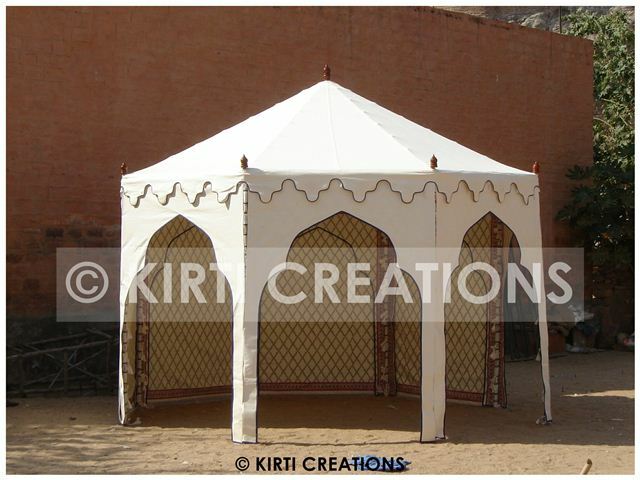 Indian Tent manufacturing company offers astonishing tents in wide colors, shapes and sizes. We provide tents for all kinds of social and cultural activities like wedding, parties and camping. Our Indian Tent are use cotton canvas that is best for weather resistant. Elegant Party Tent:- We offer Elegant Party Tent at best budget price with white color of fabrics. It take only stylish and fancy curtains which add beauty of this tent. It has stability and sturdiness features that helps in negative weather condition. 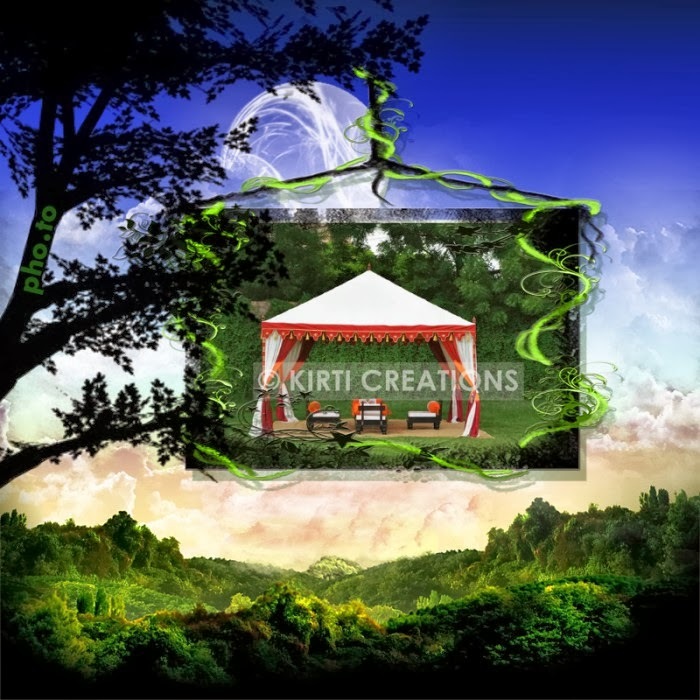 With available wide collection of Indian Tent for wedding. Indian Tent leading exporter of tents in India as well as outer country. Phenomenal designs and beautiful pattern is makes well popular among the customers. We take new technologies to improve the designing pattern and decoration of Indian Tents. Our Handmade Tent are made up of superb material of components.